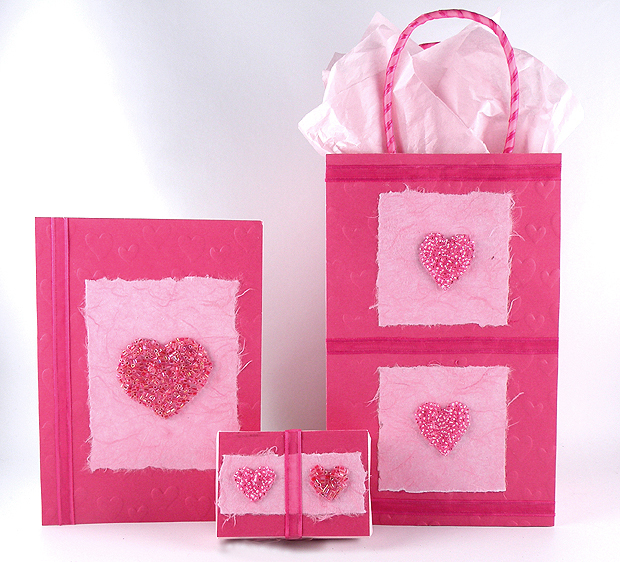 Valentine’s Day is the perfect holiday to add a personal touch to your cards and gift wrap. Even something as simple as accenting your gifts with a piece of pretty paper and adding beads in a heart shape will show how much you care. 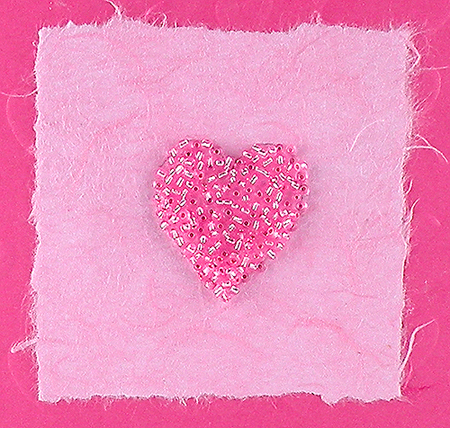 The beaded hearts and the hand-torn paper adds an artistic touch to your gifts. 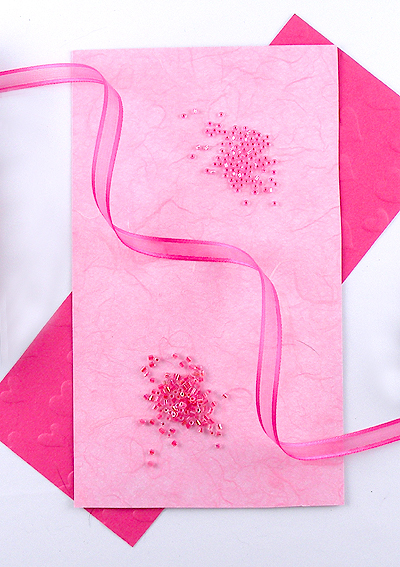 With just a few materials, you can make a beautiful card, gift wrap and gift bag. Click here to for directions on how to make this design. This entry was posted in Cards, Crafts, Everything, Gift Wrapping and tagged beads, Gina Tepper, hand made cards, valentine's day, Valentine's Day Gift Wrap, valentine’s day cards, valentine’s day hearts, Valentine’s gifts. Bookmark the permalink.